Responsible for providing assistance and support in the administration of delivering quality customer service. This position performs duties that include in-person and/or over the telephone customer communication. A level of integrity, dependability, and a strong sense of urgency with proven results is expected. Responsibilities include but not limited to: create first and last impressions with customers, answer phones, customer correspondence, provide facility tours, and use a computerized registration system with cash handling operations. Must have a comfort level working directly with the public. This position also provides assistance and support in the supervision of recreation programs and facility operations. Meets and greets citizens and members of the public, and ensures the smooth operation of the front desk area, providing courteous and efficient service. Maintains friendly customer service in all situations. Performs and assists with computerized registration, correspondence, public relations, record keeping and reports. Answers telephones, provides information, and conducts facility tours. Adheres to assigned work schedules as assigned. Assists with programming, special events and rentals. Promotes facilities, programs and services when in contact with Members and Guests. 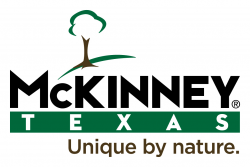 Conducts oneself at all times in a manner of professionalism that aligns with the values, philosophies and standards of City of McKinney. Adhere to all written mandatory standards of operation, policies, procedures, manuals, memos, and oral instructions, etc. Maintains a balanced cash drawer at each shift. Demonstrate a collaborative and flexible style and ability to work under time pressure. Ability to tactfully resolve issues with customers and colleagues even when under pressure. The ability to treat co-workers and customers with respect. Ability to carry out detailed written or oral instructions. Must pass a drug screen, job placement assessment, and background check. No visible body piercing or tattoos. Tasks involve the ability to exert light physical effort involving some combination of kneeling, crouching, lifting, carrying, pushing, and/or pulling of objects and materials of moderate weight (20-50 pounds). Tasks may involve extended periods of time at a keyboard or work station. Some tasks require visual/sound perception/discrimination and oral communication ability.